Old Mario Mario and his brother, Luigi Mario, have been in the goomba-stompin' business for quite a while now. They've taken down the King of Koopas, aliens who do as they please, and even greedy people who look way too similar to them. While many of Mario's most notable adventures have been on consoles, he and his bro have had some pretty rad times on handheld devices as well. Let's take a look at the best of those today. The original Super Mario Land was a very strange take on the classic platformer. So naturally, when it came time to make a sequel, Nintendo went out of its way to make it even weirder. 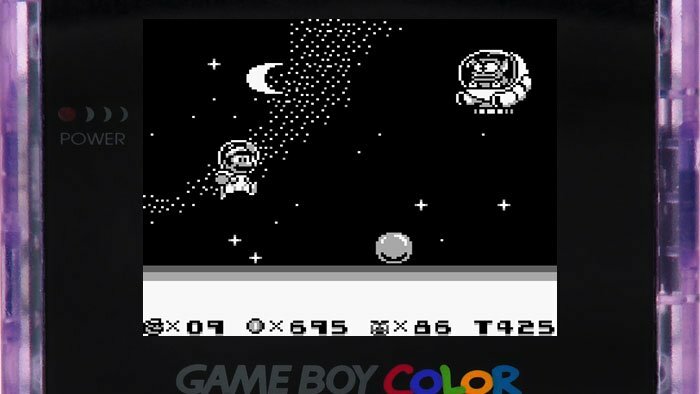 Super Mario Land 2 saw the introduction of Wario, Mario's greedy nemesis, who was given the full spotlight in the third entry. This one saw Mario visit all sorts of strange worlds, from giant dolls of himself to actual space, where he'd face off against Tatanga once again. You'd also collect bunny ears that would help you fly. Because that's what bunnies are known for. Flying. What an odd game. 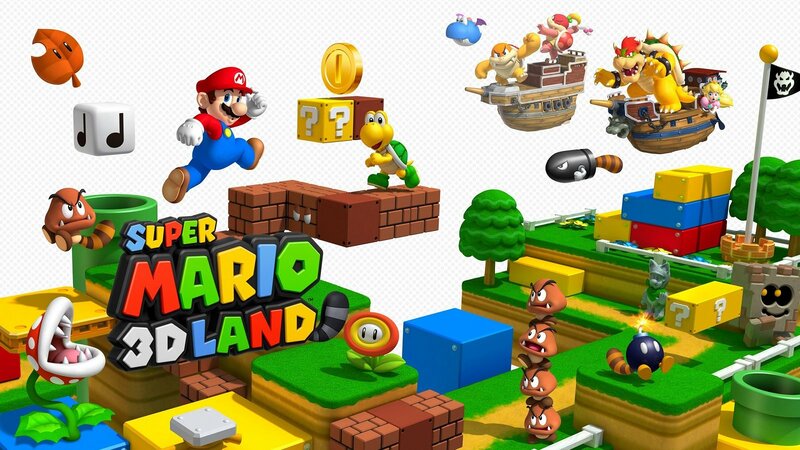 While its use of the “Land” title is up for debate, considering it makes use of neither Wario nor Tatanga — who does as he pleases — Super Mario 3D Land's status as a highly enjoyable Mario game on the go is much more concrete. 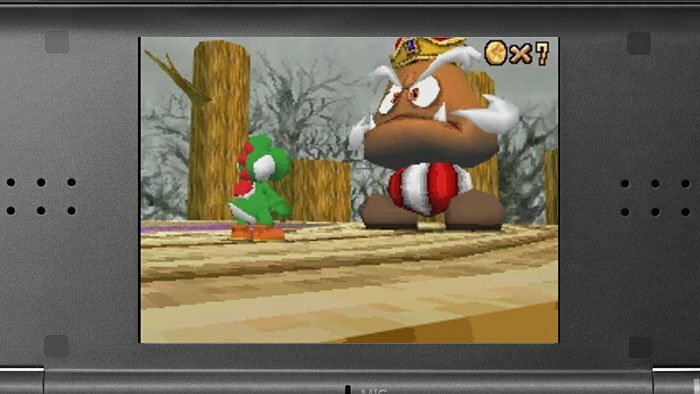 It combines classic and modern sensibilities to create one of the few 3DS games that I actually used the 3D feature for, as it really did suit the title. It wasn't a mind-blowing entry in the Mario series the way that Galaxy was, and its ideas went on to be refined further in Super Mario 3D World, but it served as an incredibly solid title regardless. What they feedin' you goombas here? 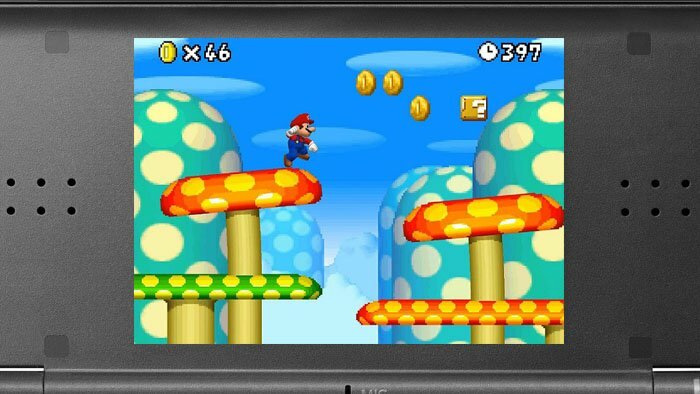 One of the greatest video games of all time made a grand debut on Nintendo DS, as the publisher was able to port the N64 3D hit (with all of those Power Stars) to the new platform while incorporating new features, like touch-screen mini games, improved graphics, a wireless four player mode and the option to play Super Mario 64 DS with new characters, including Wario. Can...can I eat the giant mushrooms too? While a bit on the easy side, there was no denying New Super Mario Bros.'s quality and charm. Nintendo returned to good old-fashioned 2-D side scrolling, as Mario tears through the Mushroom Kingdom to rescue Princess Peach. 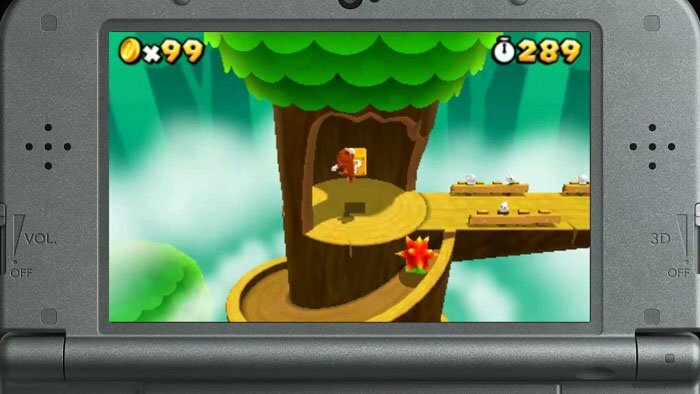 Plenty of familiar mechanics return (smash bricks, stomp goombas), but the developers included 240 Star Coins to collect, the Blue Koopa Shell, Mega and Mini Mushrooms and a map that shows a player's progress through the current level. We don't know if Bowser's Inside Story is the final Mario & Luigi RPG, but if so, what a great way to end this outstanding series. This time, the brothers wind up inside of a gigantic Bowser, and must battle enemies inside while their arch nemesis causes havoc outside. Even better, players get to control both the plumbers and the rampaging monster. 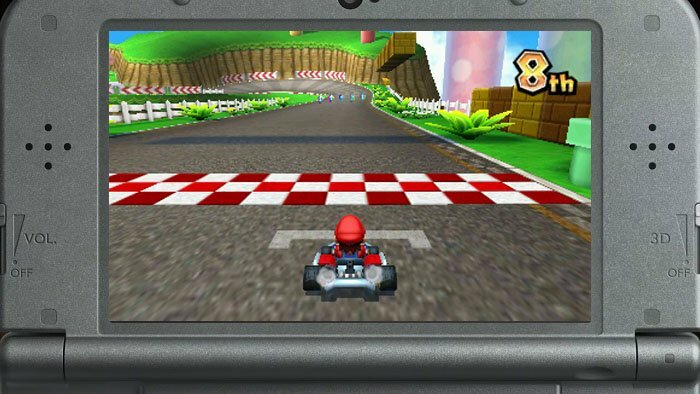 Where Mario Kart DS showed that Mario and friends' frustratingly fun racing escapades could work almost as well on portable devices, Mario Kart 7 went whole hog and proved that not only could it be "good enough," it could be better. On top of the usual fun tracks and wacky cast, it's got solid core racing and looks pretty good to boot. Mario Kart 8 may be out now, with a Deluxe edition on the way for the Switch, but many still turn to this 3DS iteration when they want their party racing kicks. For many Nintendo fans, Super Mario World is the quintessential 2-D Mario experience. We wouldn't go that far, but it definitely made a grand entrance on Game Boy Advance. 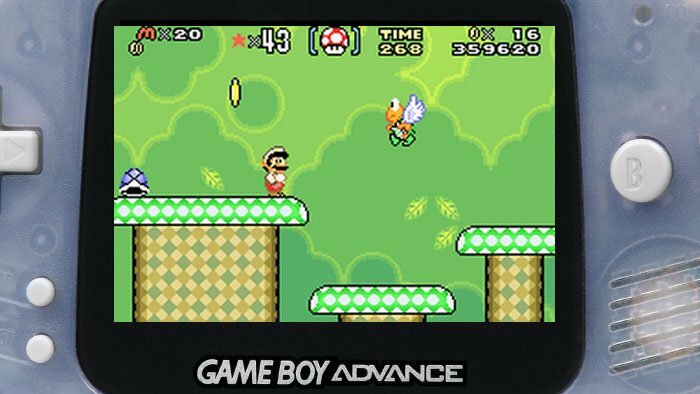 Like Super Mario Bros. 3, this is a port of the Super Mario All-Stars Super Mario World with two notable differences: it's one player only, and Luigi is an alternate character that jumps higher than Mario. Everything else, from Yoshi's arrival to the cape feather, is largely the same. We've adored Yoshi's Island ever since it hit the Super Nintendo in 1995. 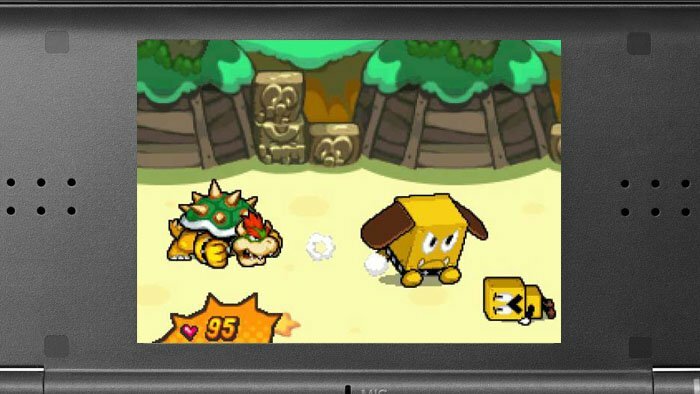 Nintendo was wise to bring this incredible 2-D adventure to Game Boy Advance, introducing new players to a new take on the classic Mario Game. 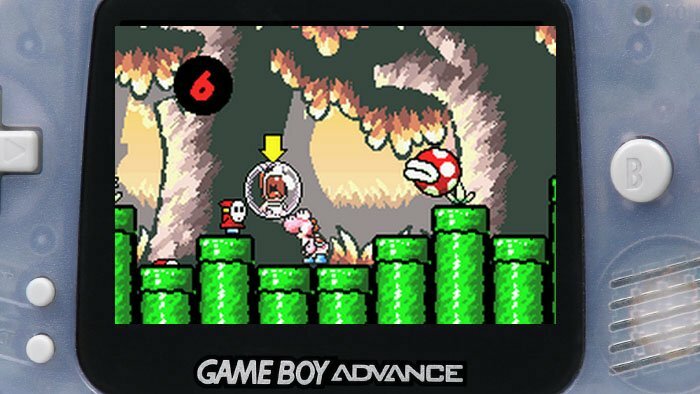 In it, Yoshi (the player) must trudge through beautiful pastel-shaded environments while carrying baby Mario to safety. Each time an enemy hits Yoshi, Mario gets encased within a bubble and floats away, forcing gamers to make a mad scramble to recover the infant. A superb experience from start to finish. The successful Super Mario Advance series ended with arguably the best Mario game of all time, Super Mario Bros. 3. 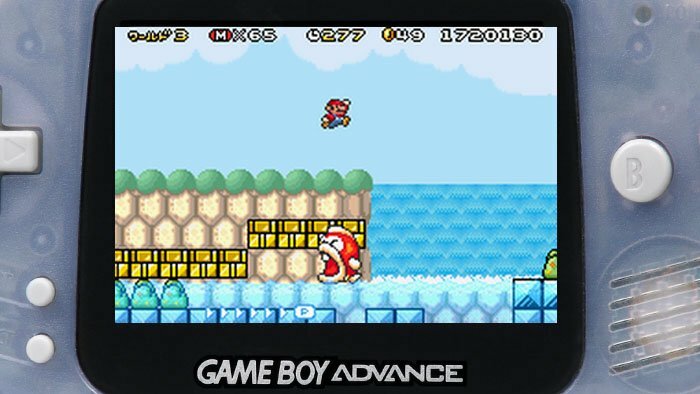 This pixel perfect port of the Super Mario All-Stars version of SMB 3 was well received by critics and consumers, and for great reason. It's a fabulous romp through eight varied worlds full of danger, fun surprises (warp whistles), cool suits (Tanooki) power-ups (we loved visiting the Toad huts) and a phenomenal soundtrack. We'll always have a soft spot for the original Mario & Luigi RPG, Superstar Saga, which was unlike anything we'd experienced on a portable system. This light-hearted adventure was user friendly (with its time-based battle system), hilarious (the dialogue is top notch) and incredibly attractive, which made it an instant favorite among the Nintendo community.